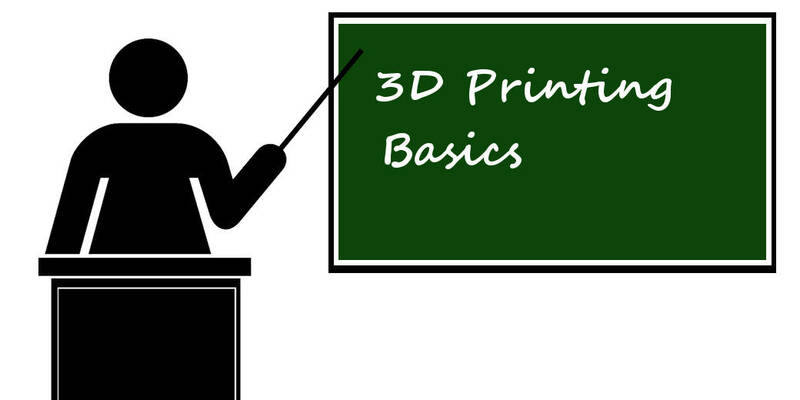 Last week in our 3D printing basics series we discussed the history of 3D printing. Today, we are going to explore the wide variety of printer build volumes and tolerances that allow you to create prints ranging from very tiny to quite massive. While all printers work by building a part layer by layer, the machines can vary significantly in terms of quality and functionality. When searching for a 3D printer for your home or office, you can really distinguish one printer from another based upon the printer build volumes and tolerances. The build volume, quite simply, determines how big your machine allows you to print. For years, analysts believed that limited build volumes were the biggest obstacle standing in the way of widespread adoption of 3D printing technology. Today, we are starting to see the design of 3D printers re-imagined in ways that allow them to build full-scale structures, effectively eliminating this critique. Starting at the true desktop level, the printer build volumes for a 3D printer can be quite limited. Many of the entry level printers, especially those around or below the $1,000 mark, have rather small build volumes, mostly less than four inches by four inches by four inches. This means that you can only print something that would fit inside of a four inch cube. While this is enough space to play around with the technology and build little trinkets, if you want to make actual, usable parts, you will find a four-inch limitation to be rather cumbersome. Moving into the next level of printers, the high-end home printers and low-end industrial level printers typically vary from build spaces that are approximately eight inches cubed to about one foot cubed. Of course, there are exceptions to the rule and some printers have build volumes that are much larger. When you get up into the super industrial machines, you will begin to see printers that are essentially mini factories. In China, for example, there is a company called WinSun Decoration Design Engineering that has designed a printer so massive, it is capable of printing a mid-sized apartment complex and a 12,000 square foot mansion. Another large build printer was produced by vehicle manufacturer Local Motors. Known as a microfactory, these printers are creating the world’s first 3D printed car. The first vehicle, called the Strati which is Italian for layers, is expected to hit the market sometime in 2015. Unlike most cars, which typically contain about 20,000 parts, the Strati is made of only 50 parts. This is because the majority of the car’s frame and exterior is printed as one part. As the quest for bigger and bigger build spaces continues, researchers are beginning to literally think outside of the box. While 3D printers currently include an extruder as one small component of a larger overall machine, a group of researchers at the Institute for Advanced Architecture of Catalonia are rethinking the entire design. Essentially, the researchers envision a robotic printer that is actually one giant extruder. With this design, there is no limitation as to the print size because, instead of building the print inside the printer, the robot circles the intended build space, extruding material as it goes. With this method, it is possible that we could even build whole skyscrapers in place. As you might guess, as a general rule, the quality and consistency of the print tends to improve as the price of the printer increases. Of course, the requirements for precision vary substantially based upon what you intend to do with the print. While some low and mid-level printers offer very nice prints, they can suffer from stringiness or a bit of distortion. Furthermore, the printers themselves can be more finicky. If you are looking for some help figuring out which printer provides you with the combination of build volume and tolerance levels to suit your needs, contact us at Spectra3D Technologies for more information about our highly curated line of printers.